In this age, the question business owners are asking is no longer whether apps can be a viable tool for improving business or not. The revolution of apps and software have become so widespread and their adaptability for business so extensive that it is absolutely easy to spot the differences and advantages that apps can bring to any business that decides to leverage it. So instead of can apps help grow my business, it is now, which of the best mobile apps for carpet cleaners is right for me? The Carpet cleaners-service form mobile application is an electronic invoicing and billing software useful for carpet cleaning, upholstery cleaning and all other types of professional cleaning service companies. Accurate estimation and invoice and service form preparation is one of the most important aspects of commercial or residential carpet cleaning business which should be done on the field and in real time for better efficiency. With this software, you can easily create an estimate for your services, prepare an invoice right on your smartphone or tablet in few easy swipes. With this service invoice template, you completely eliminate the rigorous process of using paper to prepare the invoice for your company and fill out the form electronically on the software. What makes this one of the best mobile apps for carpet cleaners is you simply enter the customer’s information including the description of the work as well as any other extra charges accrued during the process of carpet cleaning and this app automatically calculates the total costs of the services. You can also use this software to get your customer’s electronic approval or signature after the services are delivered for proper documentation and payments processing. This software helps you streamline the entire process of preparing invoices for your carpet cleaning services and provides an accurate and reliable electronic record of all your services for future references. You can also document and keep a record of your customer carpet cleaning preferences. It is a perfect tool for creating professional cleaning service forms for carpet cleaners in residential and commercial locations. Next on our list of best mobile apps for carpet cleaners is the ultimate task manager, Asana. 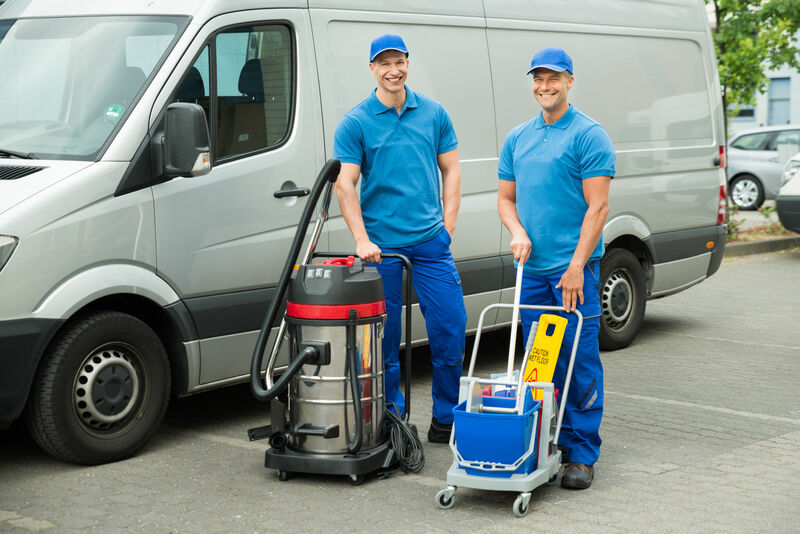 Effective management of tasks and assignments is important to keep your business running in a carpet cleaning company. Therefore, you need a tool that essentially allows you to manage your cleaning team’s activities and delegate tasks as new orders for your services come in. Asana is one of the most popular project management software available on the market. The software allows you to create and manage tasks and projects for your members of staff and also facilitates communication, dispatching and collaboration between your technicians to places where on all cleaning tasks assigned to them. Once you set up Asana for your business, you can assign tasks to your technicians on the software instead of using emails or other traditional means of communication which is liable to delay and can be ineffective sometimes. Your cleaning staff receives instant notifications directly in their inbox. They can then check the notification, like or follow it as well as leave a comment. For specific information for a specific employee, you can mention the person in the comment and each of your staff can choose to unfollow a task that isn’t related to them if they want to. Asana also allows you to keep track of assigned tasks and projects from start to finish and to manage the process of reporting on each project all on the same platform. Your staff can attach details of the task being performed in various formats and share various documents as it relates to the project. You can also prioritize projects in order of importance so that your staff will be able to keep track of important tasks and respond to it appropriately. As part of the advanced features of the software, Asana’s smart inbox option allows you to send important information about an ongoing project to an employee directly rather than the general information update for all staff. In addition, you can also organize and hold meetings the smart way with this software. You can organize meetings with all members of your cleaning team on Asana or set up meetings with specific people. You can also bring your clients or partners on board in your meetings all on the software. When it comes to task assignment and project management, Asana is one of the best mobile apps for carpet cleaners. In terms of pricing, Asana is a very affordable tool. If you are operating a small carpet cleaning company, then the basic features are enough for you which comes completely free of charge. Larger companies will have to pay for some advanced features through which is also moderately priced. Asana is the perfect tool for organizing the process of delegating tasks and reporting and for communication in your company. By organizing your business using Asana, you drastically cut down on lapses and lag in communication and improve customer satisfaction by improving service delivery of your company. Grow your carpet cleaning business with this simple and effective software which allows you to manage inquiries about your business, handle quotes, orders and invoices as well as payments and manage your staff and customer all on one cloud-based interface. This software completely revolutionizes your business productivity and overall efficiency and improves the general customer experience. This software also allows you to manage and keep your clients with features such as the automated response which saves response time by sending automated responses to your clients, manage client information and also keep them informed with activities relating to their bookings and to specific tasks. The Octopus pro software is a perfect tool that allows you to stay on top of your game and keep your business well within your grasp at all time. without stress. There is a 30-days free trial of this software available after which you can decide to go for the fully paid premium version if you are satisfied with the services. FieldSurf is a cloud-based field service management tool that allows you automate all aspects of your business and stay in perfect control at all times. it is an ideal all-in-one tool for controlling all aspects of your carpet cleaning business from the minute a call comes in until the work is completed and your payment is sent. FieldSurf lets you manage scheduling and dispatching seamlessly by keeping an organized calendar of all orders coming into your company and avoiding clashes of any kinds in the system. Dispatching is also neatly handled as FieldSurf helps you stay in contact with your staff whether on-site or offsite. FieldSurf’s Geofencing function allows you to set a virtual perimeter in the area covered by your business and to know where each of your cleaning technicians is and to assign the person best positioned to respond to a call. In the field, your staff can keep in touch with the dispatch staff, they sign in when they arrive and can keep on sending relevant updates to the office throughout the process of service delivery. FieldSurf is also a great software for reporting and record keeping. All records of orders, transactions, and task assignment are securely archived for future references. Also, it can also be used as for automatically preparing your business financial accounts as well as worker’s payroll on the go. One of FieldSurf’s unique functions and of particular importance to business is the analytics tool which allows you evaluate the performance of your carpet cleaning business at any particular time so that you are able to keep track of important business information about your business and effectively plan for coming days. FieldSurf also allows you handle payments the smart way with the automatic invoice calculation feature which prepares an invoice for your client the moment an order comes in and sends an electronic invoice to the client once the task is completed. It can also be used for onsite and offsite payment processing which is a great way to improve revenue. FieldSurf’s software is easy to use, requiring no programming skills at all and can be operated on both on computers as well as on mobile devices of any kind. What makes us one of the best mobile apps for carpet cleaners is more than price. We offer an all-in-one carpet cleaner solution at a price point that can’t be beat. This list is by no means exhaustive and there are a lot of other applications and software that you can get to manage all aspects of your business. Some of these applications are task specific and can only serve specific purposes in your business. Others like FieldSurf are more versatile and can be used to handle various aspects of your carpet cleaning business at the same time on a single interface making work a lot easier, enhancing your customer service delivery and efficiency and all in all helping to grow your business bigger. We hope this list of the best mobile apps for carpet cleaners has shed some light on the apps in this industry. To schedule a free demo of our all-in-one carpet cleaning software, please click the button below to get started.